Displays heart rate variability w/ instantaneous beats per minute. 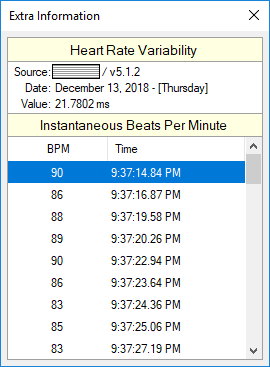 Double click a heart rate variability row to view the instantaneous beats per minute data if the type column text for it is blue and underlined. Ctrl + Tab to switch between extra information window and main window when extra information window is open.